Hej! Ever heard about Fika? Fika is an everyday Swedish tradition. It's a coffee break- and more. And it's about having a coffee while spending time with someone else. Enjoy fika at one (or all) of these nine oatsome places in Hamburg or Malmö. 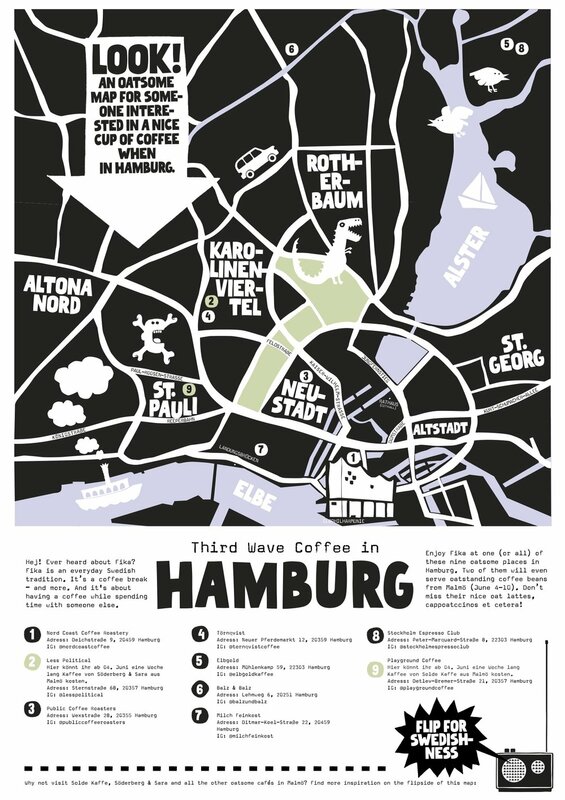 In Hamburg, two of them will even serve outstanding coffee beans from Malmö (June 4–10). Don't miss their nice oat lattes, cappoatccinos et cetera!